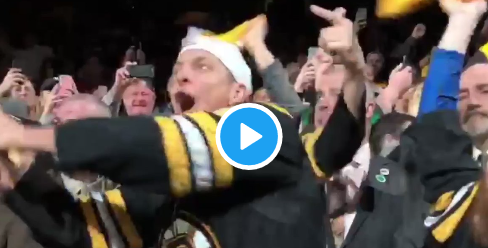 Gronkowski, who stepped away from the NFL on March 24, shortly after winning his third Super Bowl with the Patriots, was on hand to support the Bruins serving as a fan-banner captain along side Special Olympics athlete Matt Millett. Hopefully we will be seeing plenty of Gronk around these parts for the forseeable future. Gronk family in da house! Honorary flag captain tonight, yours truly @RobGronkowski!